Despite no new filings with the OIE since last April we continue to see almost daily reports of large die offs of poultry in Iraq, with local media reports calling it `bird flu' (see More Reports Of Bird Flu Coming Out Of Iraq). The assumption is this is H5N1 - since it has been repeatedly reported in Iraq and other Middle Eastern countries in the past - although we have no confirmation of that. Without official reporting it is impossible to accurately judge the size and scope of these outbreaks. That said, local media have repeatedly indicated losses in the millions of birds. 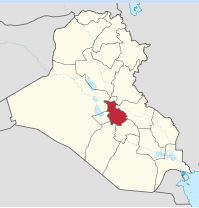 Until now, the three governorates that have been most often mentioned as seeing outbreaks are Baghdad, Wasit, and Al-Qādisiyyah. Based on a slew of media reports overnight, it appears we can now add Babil Governorate (aka Babylon) to the list, as their Governor (Sadiq Madlool Hamad Jasim) today announced local outbreaks and the halt of poultry imports from outside the province. This (translated) report from Radio Dijla. Governor of Babylon Sadiq revealed connotation, on Friday, reported cases of the disease, "bird flu" in a number of areas of the province, stressing that the health committees are currently examining these areas of non-proliferation, while noting that the province has decided to prevent the introduction of poultry them temporarily. Said Royal, said that "the province issued, a book has been circulated in all Sitarat Mnavd the province to ban the introduction of poultry and birds in general to the province of Babylon, and until further notice," attributing the cause to the prevention of non-transmission of the disease from provinces where cases appeared to avian influenza. " . Despite repeated assurances from the Ministry of Agriculture that their bird flu problem is `under control' and all infected poultry have been destroyed, reports like these suggest Iraq's summer of bird flu is far from over. 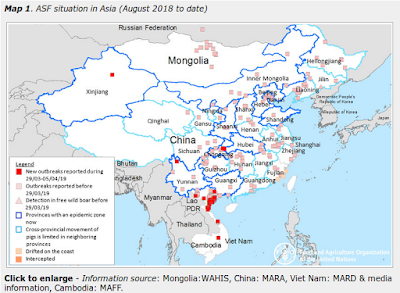 The pattern with bird flu reports coming out of Iraq the past couple of months has been initial reports of large outbreaks followed by denials from state or local agencies, often pointing the finger at other provinces. Denied veterinary department in Babylon the presence of bird flu in the province. He said a brief statement of the department , "there is no bird flu in the province of Babylon , " saying "the presence of the disease in southern Baghdad and northern Wasit only." The House of Wasit province, announced on 12 July of this recording cases Panevlonzha birds in a number of poultry farms regions of Essaouira and Aziziyah, north of the province ,, declaring campaigns hanging around more than two and a half million birds chicken, also called on the Ministry of Health to take urgent measures to curb the spread of the disease.